You may have considered upgrading your curb, and power washing services in Akron, Ohio is one of the most effective ways to make your property’s exterior neat and appealing again. This procedure uses washers with high-pressure water to get rid of dust, mud, mold, grime, and other contaminants off concrete surfaces in homes. Pressure washing services in Akron, OH can clean exterior surfaces in your property such as your fences, patios, driveways, sidewalks, gutters, decks, or garage floors. If you are looking for first-rate pressure washing services in Akron, OH, turn to Wilhelm Power Washing. Our company has been serving residential and commercial clients for more than 40 years. We specialize in house painting and pressure washing services in Akron, OH. We understand you may have a fixed budget for pressure washing services. Akron, OH residents may go for companies that offer the cheapest service. However, these companies may cut corners and shortchange you with quality. If done poorly, pressure washing services in Akron, OH may cause damage to your exteriors such as a broken window or spotty sidings. Instead of saving cash, you may end up spending more money to cover repairs. Never compromise on quality when it comes to pressure washing services in Akron, Ohio. At Wilhelm Power Washing, pricing may vary depending on the project and the area we have to cover. We invest time and resources in training our personnel to give you high-quality service at reasonable prices. Aside from quality service, you should also take into account a company’s reputation. Check out customer reviews for their pressure washing services in Akron, OH. You may read feedback from their previous clients on various social media platforms. If possible, you may get in touch with their past clients and ask them regarding their experience with the company’s pressure washing services in Akron, OH. With our commitment to quality service, Wilhelm Power Washing has earned a positive reputation for pressure washing services in Akron, OH. We also gained loyal customers who contact us every year for pressure washing services in Akron, OH. You should ask a service provider what type of washer they use for pressure washing services in Akron, OH. If the company uses consumer-level equipment found in hardware stores, then you may have to think twice about hiring them for pressure washing services in Akron, OH. Professionals use powerful and specialized washers to do quality pressure washing services. Akron, OH residents can turn to the experts at Wilhelm Power Washing for a thorough clean of different surfaces in your home. Our company utilizes top-of-the-line washers to clean various areas in your house. Aside from using advanced equipment, our trained personnel use environmentally safe chemicals and high-quality paints for our projects. Do you need help with outdoor cleaning? At Wilhelm Power Washing, we can assist you with pressure washing services in Akron, Ohio. Our company offers quality pressure washing services in Akron, Ohio at reasonable prices. Feel free to call us at (330) 477-7094 to request estimates about our services, including pressure washing services. Akron, Ohio residents may also text us at (330) 323-7466 or email us at dwilh51183@yahoo.com to schedule an appointment for pressure washing services in Akron, Ohio. We also give discounts to seniors for our services, including pressure washing services in Akron, Ohio. We are looking forward to serving you. When your house or office needs its look updated or its exteriors cleaned, don’t hesitate to get in touch with us. At Wilhelm Power Washing, we guarantee that you’ll be getting the best pressure washing and house painting services in Northeast Ohio. Rely on us to keep your home spotlessly clean and indescribably beautiful. Call 330-477-7094 today and receive a same-day pressure washing quote. 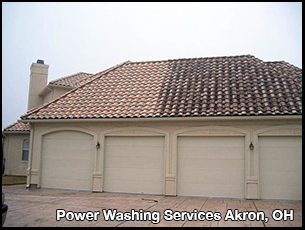 We would love to hear from you about power washing services in Akron, OH!